‘It’s a BSA day!’ That was my friend Geoffrey, back somewhere in the mists of time, coming out with what became something of a favoured phrase among the small group who comprised my local bike crowd. 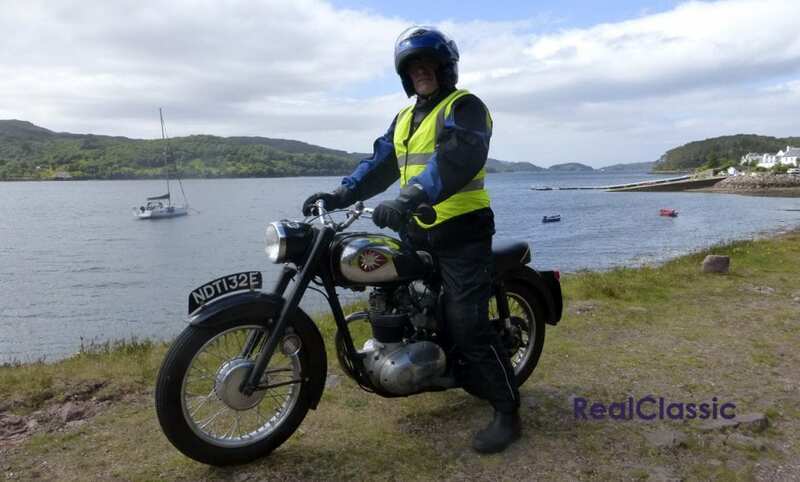 Geoffrey mostly rode a Triumph, a T100A, upon which he lavished far more care and attention than it deserved. Well, that was my view. I rode a Panther, which demanded rather more care and attention than the Triumph, and deserved even less. 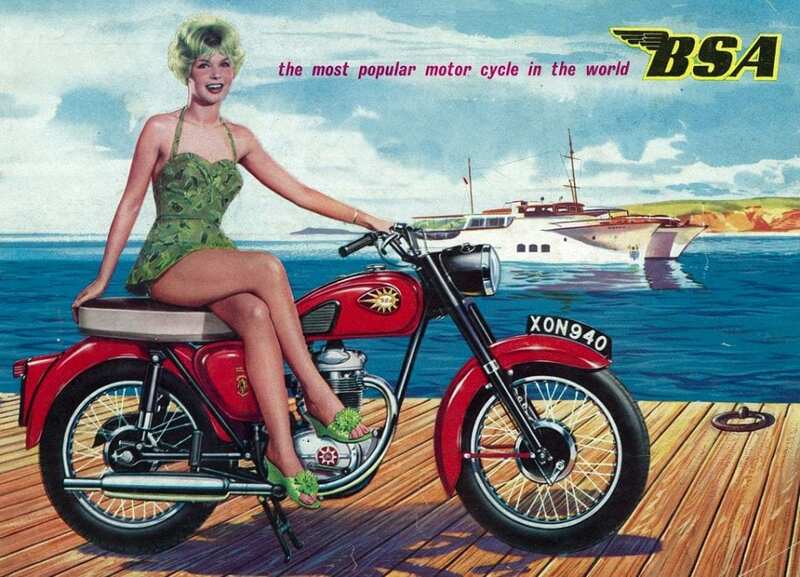 Geoffrey also rode a BSA; a C15. Those were sociable days. Although most of my friends still lived at home with their parents – as did I – and although most of those homes boasted an electric telephone, the majority of the time actually using the things was either ignored or parentally frowned upon. Calls cost money. Money was tight. I shudder to think how ‘austere’ those days would be considered by anyone sufficiently youthful to worry about Xboxes and the like, although at the time, although we were all always skint, I don’t recall it being a problem. Strange how things improve with age. As I was saying, telephony was an expensive indulgence, and irritated the parents. My sister did enough irritating telephony for one household in any case, so my buddies and I just – OK, this may be a shock if you’re under 1000 years old, gentle reader – we just turned up unannounced at each other’s houses and knocked on the door. Geoffrey had done that. I had walked out into the rain clutching two cups of appalling Bird’s instant ‘coffee’ and had wondered why the Ceefer rather than the Tiger? Because it was a BSA day. Of course it was. BSA days were days of two kinds. Firstly, they could be days when Geoffrey was working (yes of course we were both at school; working and education were not then mutually exclusive pursuits: I told you that times change). He worked delivering meat for a local butcher, and the BSA carried him and his choice cuts all over the place. 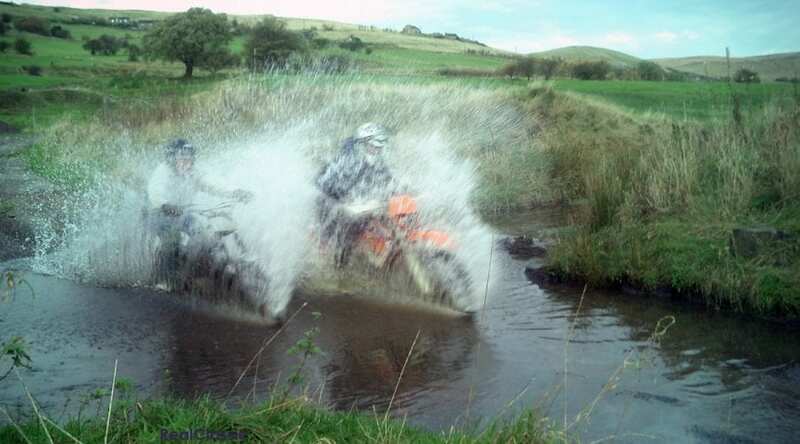 The other kind of BSA day involved lashing rain, salt, serious mud and the inevitable wintry Somerset floods. Somerset’s levels have always flooded; flooding there is not a recent invention, in case you wondered. Geoffrey liked his Triumph. I have – to this day – no idea why. It was a very dull example of a T100A, an early one. Geoffrey had thrown away its original bathtub and coal scuttle mudguard, raising its claimed top speed to around 150mph. 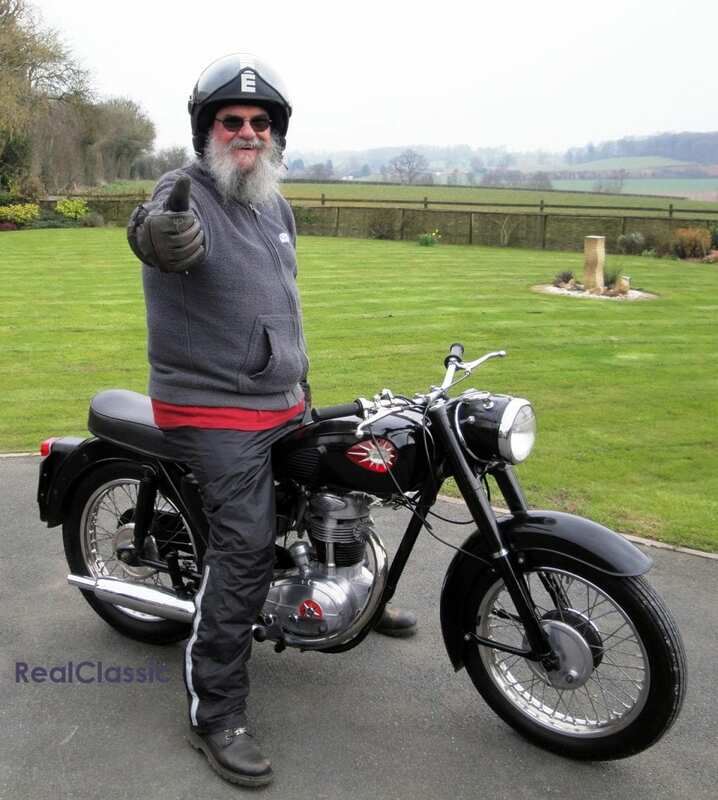 He had also visited a local breaker – Cliff Baker, probably – and swapped the original Triumph silencers for a pair from a BSA twin. They provided a lovely deep boom to a bike mainly famous for rattles and whines and inevitably raised its claimed top speed to around 200mph. Boys never exaggerate. Ever. BSA days were too wet and vile to risk riding the best bike, then. It didn’t affect me much personally, because I had only the one bike; rain, shine or plague of frogs, that was the bike I rode. But most of the crowd were at least the notional owners of several bikes. They were cheap. Very cheap. Those were the days ancients like me hanker for days when old bikes were often available for … nothing. Especially if they didn’t run and were cluttering up the place. Days when the farmer father of a female friend used a couple of ex-WD BSA M20s to fill gaps in his hedges. Might rain. Should we take the BSA? And then something a little strange developed. BSA days, which by all rights should have found our teenaged crowd hiding indoors or in sheds, started to change. It happened fast, and it was all Geoffrey’s fault. He turned up somewhere (may have been at Jim’s, who knows?) laughing like a fool at the flooding he’d just ridden through. His tale was so tall that none of us believed him, and we demanded that he ride his C15 through the flood again. So he did. Jim did too on his 5TA, and stalled mid-splash. Soggy hysteria all round. By the next day Jim had somehow acquired a weedy Beezer of some sort and pottered through the mud and the flood until he could balance properly and not fall off. Glenn found himself a C15T (a real one) and became truly ace on the slimy stuff. Another pal whose name I’ve lost produced an ex-WD B40 and was recognisable by his huge grin every time he rode it. The C15T and the B40 could really wade; water at crankcase level stuff. The Beezer pack were quite suddenly to be found spannering furiously when the roads were dry and sunny, and riding loads whenever the skies were black, it was lashing down and there were brown lanes to raid. The world was turned on its head. Madness prevailed. It couldn’t last. And it didn’t. Summer returned, the BSAs were relegated to the back of the sheds and the tidy shiny faster bikes were returned to the roads. 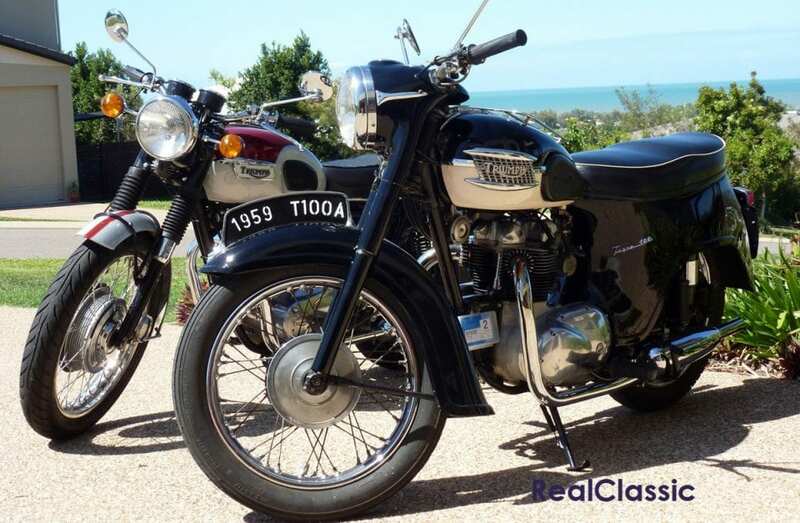 The BSA boys were the last to defect from two wheels to four. Strange, huh? Next Post:September issue on sale!